Fresh blueberries, a little bit of sugar, cornstarch, vanilla, and water make for the most incredible blueberry syrup! This syrup takes minutes to whip together and is easy to make while you’re preparing the rest of your breakfast. Pair this incredible syrup with homemade pancakes, French toast, or crepes (how to make crepes tutorial)! 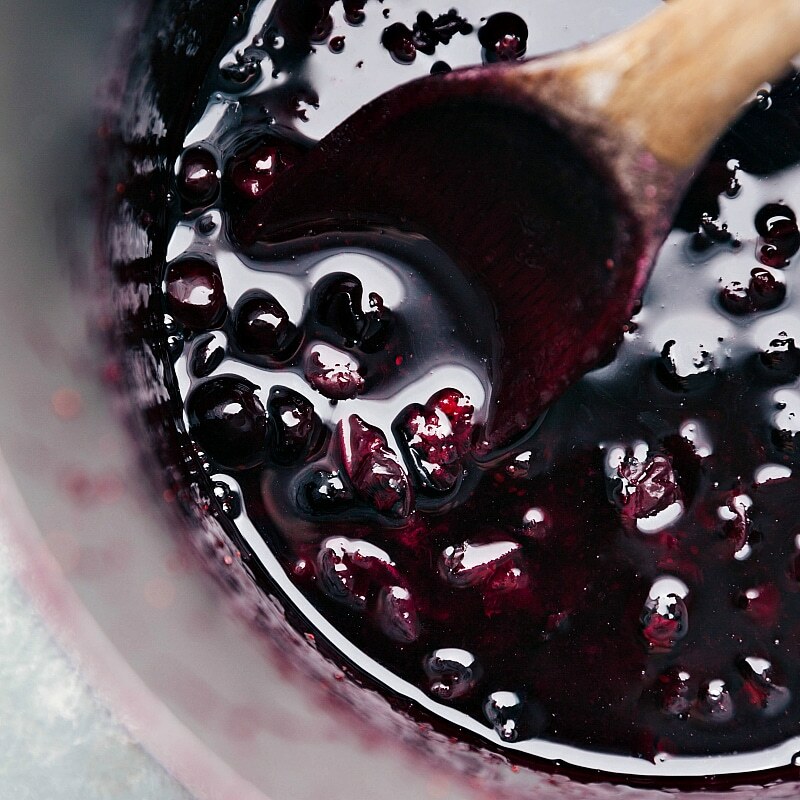 You’ll want to put this blueberry syrup on everything! We’ve been on a major blueberry eating spree the last few weeks between these healthy blueberry muffins, this blueberry smoothie, and pancakes with ridiculous amounts of this blueberry syrup. 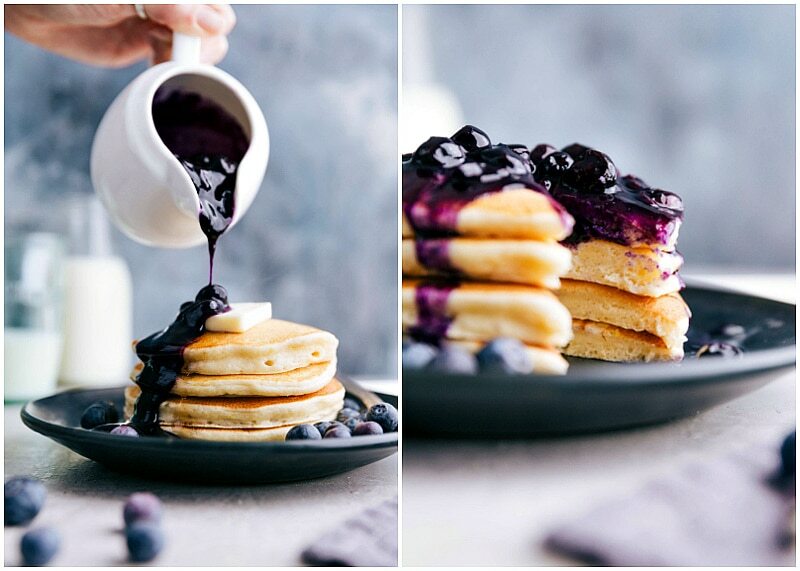 I’d vote for blueberry syrup over maple syrup on these perfect homemade pancakes every time. And I think after you try this syrup, you’ll agree; it’s easy to make and adds so much to all your breakfast favorites! Thicken: in a separate bowl, whisk together cornstarch and water until smooth. You’ll add this to the blueberry mixture to thicken. Oatmeal: make a batch of oatmeal (my favorite way to make oatmeal here) and stir this syrup in! How long do fruit syrups last? 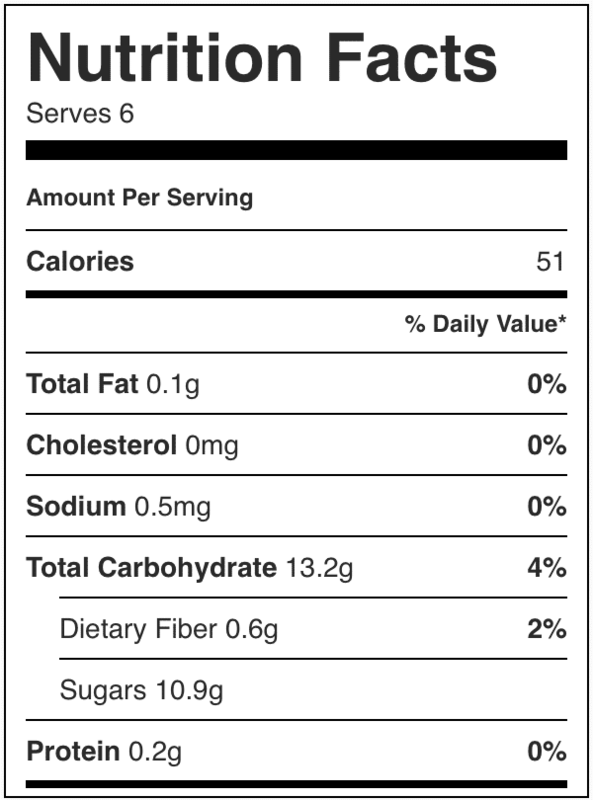 It depends on the fruit syrup, but this syrup lasts up to one week if stored in an airtight container in the fridge. This is contingent upon using good, ripe, and fresh blueberries when making this syrup. When in doubt, give the blueberry syrup a quick stir and smell test. If it smells funny or the color is off, it’s likely gone bad. 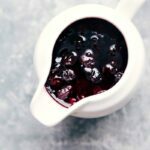 Does blueberry syrup need to be refrigerated? Yes it does! Any leftovers you have, transfer to an airtight container and place in the fridge. Yes! 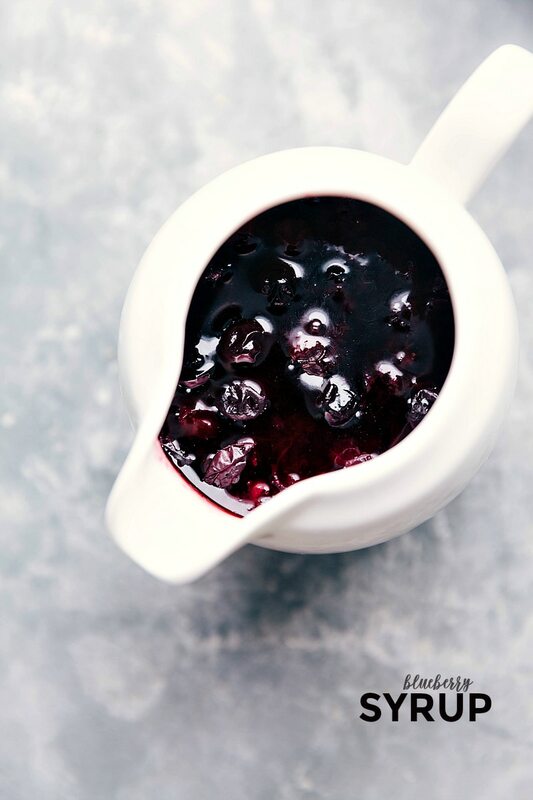 Allow the blueberry syrup to cool to room temperature. Next, transfer the cooled blueberry sauce into airtight freezer safe containers. (Choose containers that won’t discolor; the intense color of blueberries can stain some containers). Leave about 1/2 inch at the top of each container and then place on the lid and seal tightly. Transfer to freezer. Freeze for up to 3 months. Thaw overnight in the fridge. Fresh blueberries, a little bit of sugar, cornstarch, vanilla, and water make for the most incredible blueberry syrup! This syrup takes minutes to whip together and is easy to make while you're preparing the rest of your breakfast. 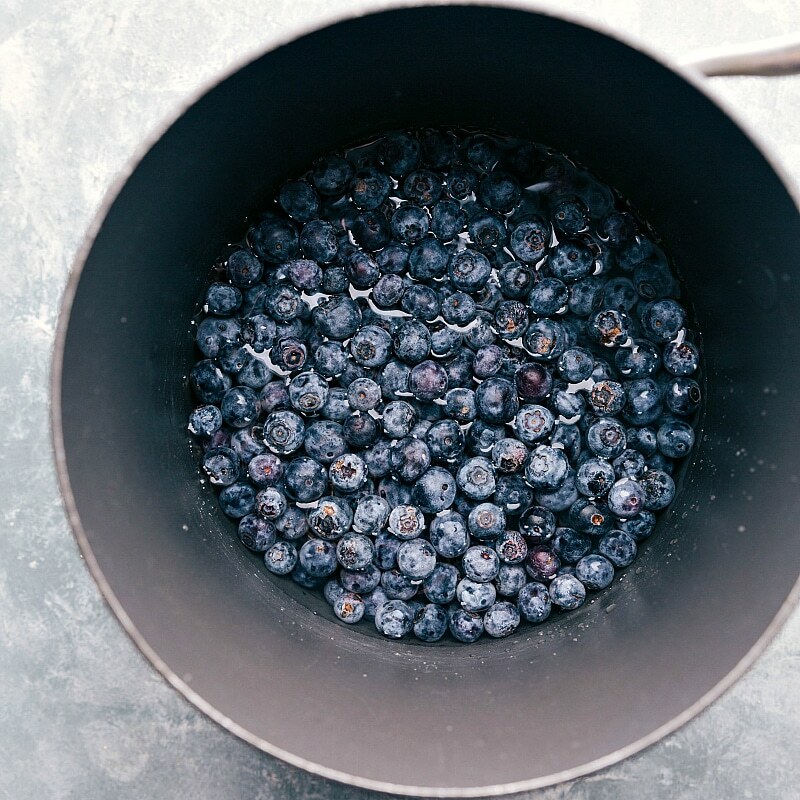 Place blueberries in a small saucepan. Add 1/2 cup water and sugar. Heat over medium-high heat until mixture comes to a low boil and blueberries are just beginning to break apart. Stir occasionally. In a small bowl, whisk together the remaining 2 tablespoons water and cornstarch with a small fork. Whisk until smooth. Pour into the blueberry mixture and then bring to a rolling boil. Reduce the heat to a simmer and simmer on low heat for 3-4 minutes or until syrup reaches your desired consistency. (if the sauce is too thick, thin with 1 tablespoon of water at a time). IF you want a completely smooth syrup, use an immersion blender to blend or carefully transfer to a blender and blend until smooth. Taste your blueberries before making the syrup. If they're a little tart, add some extra sugar. If they're fairly sweet to begin with, reduce the sugar and then taste test at the end to see if you need to add a bit more.